Love the art style, I can see where the influence from The Path (which is a neat game) comes in The reddish backgrounds especially! I'll be keeping an eye on this one. The story sounds really intriguing! What you have graphics-wise at the moment looks extremely polished *0* Can't wait for the character art to come out. Topic: How did you decide on a team/studio/other name? Re: How did you decide on a team/studio/other name? Etoranze comes from the title of a song we both liked, so it stuck... It's the Japanese romanization of a French word for stranger, so yeah, it's pretty weird xD; I don't think we're going to change it anytime soon, though. 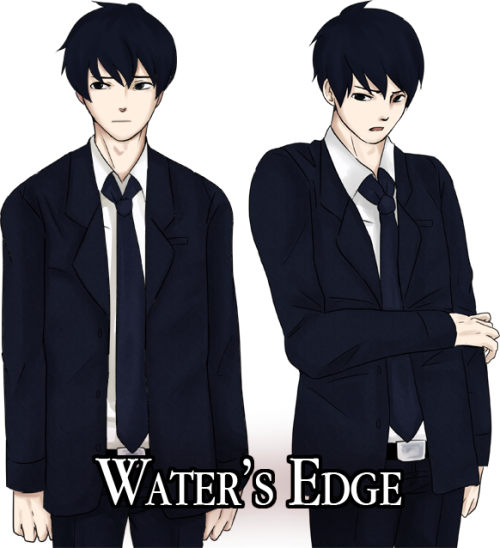 Showing off their 2 different poses \o/ Ishikawa is in the works. Meanwhile, follow our Tumblr (Tumblr is down now u_u) for tiny updates that we don't want to spam the dev blog with! Topic: Making a new preference? Re: Making a new preference? Topic: How To Effectively Write Horror? Re: How To Effectively Write Horror?